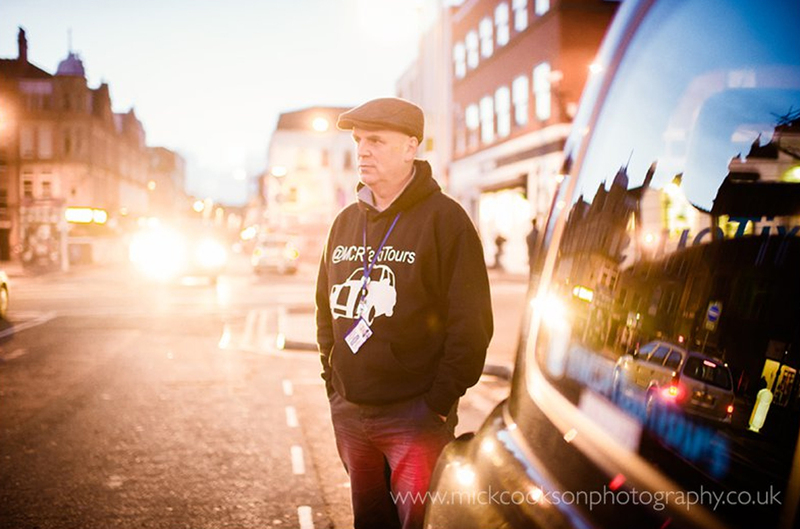 Manchester Taxi Tours is run by John Consterdine, a qualified and inspirational tour guide, often seen on TV and heard regularly on BBC Radio Manchester. 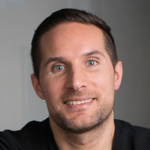 The main source of business to date had been word of mouth, and though this had worked well, a properly planned out digital marketing campaign was required to help take the business to the next level. Our social media targets were simple, to drastically increase the number of followers & reach, and our team set to work on a 12 month plan. To increase the chances of customers making an enquiry, we also wanted to make sure that positive reviews were everywhere to be seen, no matter which way a customer had seen the company. Lastly, we decided to try and target a series of different location based keywords to build content around and increase the chances of the site ranking in Google. As of July 2018, the total number of followers stands at 87,497. These were generated over a 2 year period, with consistent and varied posts comprising of scenic photographs, short 30 second videos, and customer endorsements. As of July 2018, the Twitter account has just under 2000 followers, with a high engagement rate on most posts. Posts are made at least every day, and are often scenic focused, with little direct sales required. This was an intentional strategy, decided upon to help build the profile organically. 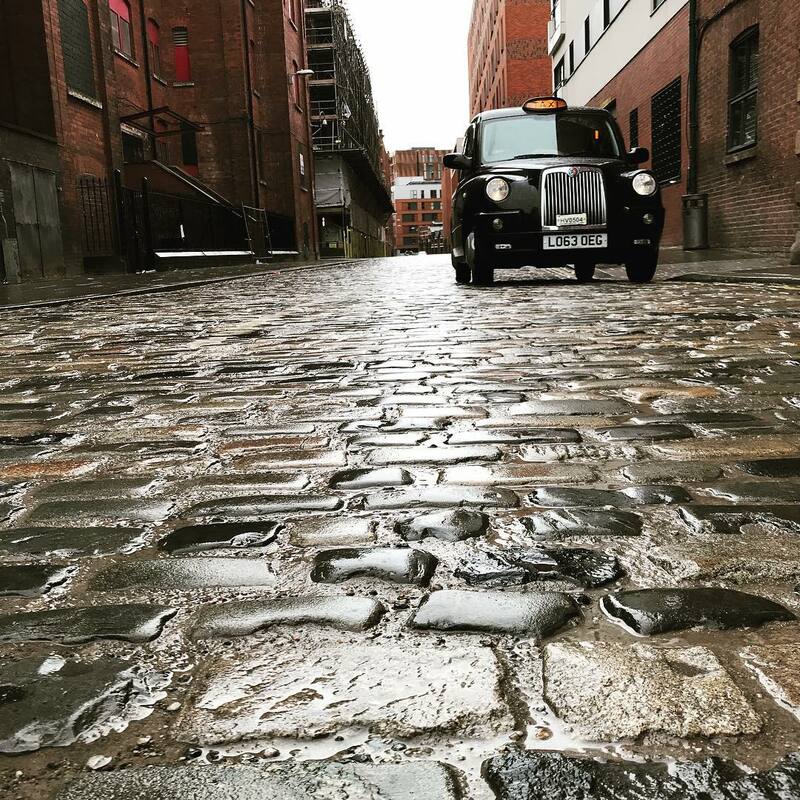 Instagram was another perfect choice for which to showcase the variety of places that Manchester Taxi Tours go to, and though the account is a lot newer than both Facebook & Twitter, it currently stands at over 1,300 followers, with a high engagement rate per post. TripAdvisor and Facebook boast over 300 reviews in total, making sure that John’s company is seen in the best light possible on both of these platforms. 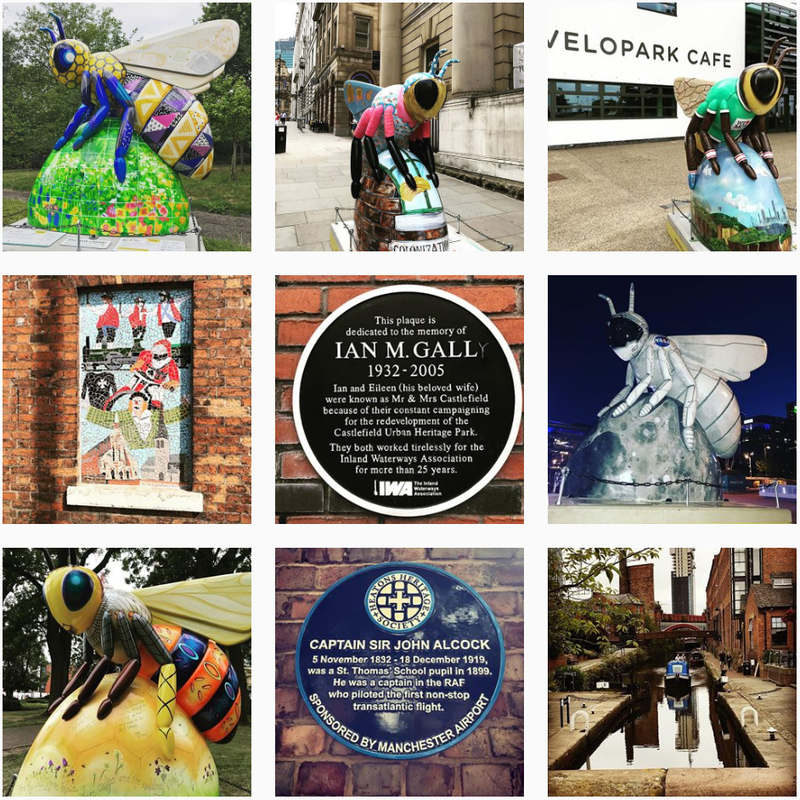 Consistent rankings have now been established on Google, with popular locations such as Ancoats, Castlefield and Heaton Park delivering regular traffic to John’s website. 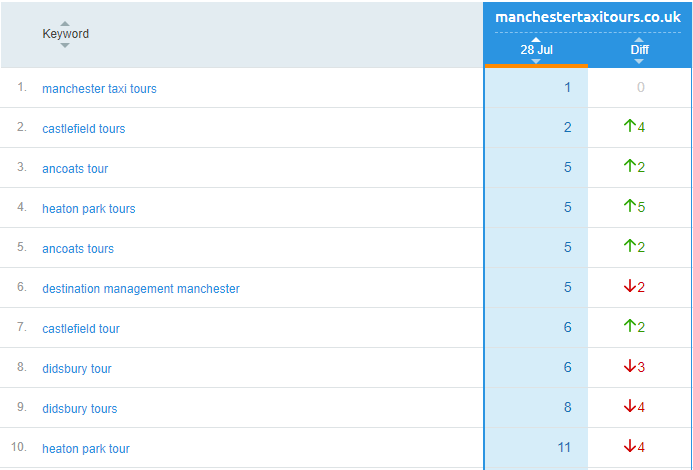 Future SEO work is now planned on further specific locations as well as the higher competition keyword “manchester tours”. Due to the success seen over the past couple of years, John and a business partner have now decided to setup another business – this time specialising in local gifts & souvenirs. 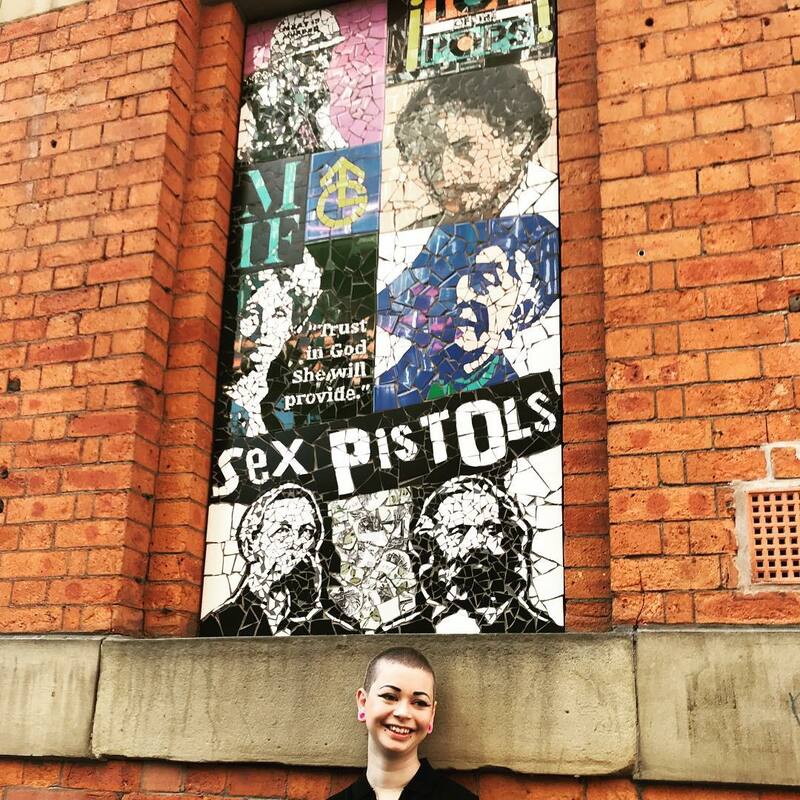 Manchester Souvenirs was created, and in only a short space of time they’ve started to receive regular interested from both trade & retail customers. We will soon commence a new SEO & social media campaign to boost the profile of the new website.